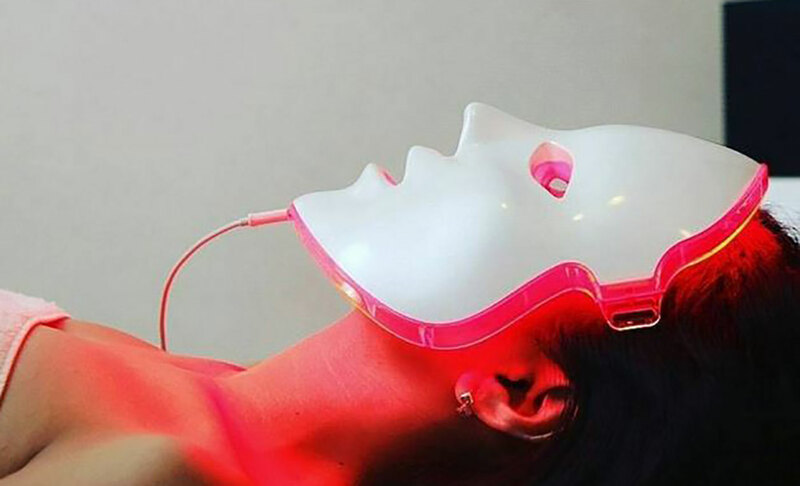 LED facial masks use color light therapy (UV-free) in specific wavelengths via tiny LED bulbs to increase facial blood circulation and promote collagen production, skin healing, and acne reduction. The best LED face masks include at least 2 important wavelengths: red and blue. The red rays are scientifically proven to stimulate collagen and elastin production by increasing local blood circulation. Plumped, glowing skin immediately after treatment. Fewer wrinkles, fine lines and sagging skin after about 2 weeks. The strength of the light is key to success. The weaker (and less expensive) LED facial masks still work, but they require more time and patience before you see the results. Both red LED light therapy and blue light therapy are scientifically proven to work. Red light rays are proven to boost collagen production – responsible for the elasticity and firmness of your skin while promoting faster skin healing. Blue light rays are proven to destroy acne-causing bacteria which results in significant reduction in acne lesions, blackheads and whiteheads (without antibiotics). You will see some results (such as radiant, glowing skin) immediately after the first treatment. For wrinkle reduction, toned skin, brightened skin and acne prevention you’ll have to be consistent with your home treatment and you’ll see noticeable results in 4-6 weeks.